"I need you to go out and talk to your friends and talk to your neighbors," Barack Obama told a crowd in Elko, Nev. "I want you to talk to them whether they are independent or whether they are Republican. I want you to argue with them and get in their face." Actually, Obama supporters are doing a lot more than getting into people's faces. They seem determined to shut people up. That's what Obama supporters, alerted by campaign e-mails, did when conservative Stanley Kurtz appeared on Milt Rosenberg's WGN radio program in Chicago. 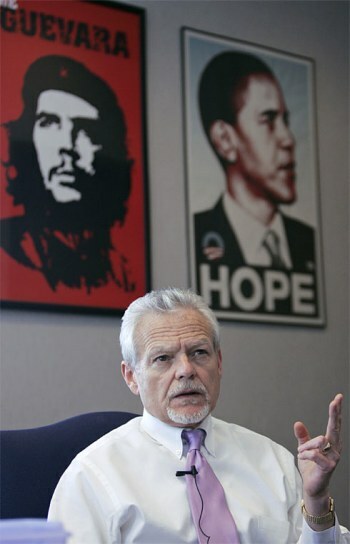 Mr. Kurtz had been researching Mr. Obama's relationship with unrepentant Weather Underground terrorist William Ayers in Chicago Annenberg Challenge papers in the Richard J. Daley Library in Chicago - papers that were closed off to him for some days, apparently at the behest of Obama supporters. Obama fans jammed WGN's phone lines and sent in hundreds of protest e-mails. The message was clear to anyone who would follow Mr. Rosenberg's example. We will make trouble for you if you let anyone make the case against The One. Other Obama supporters have threatened critics with criminal prosecution. In September, St. Louis County Circuit Attorney Bob McCulloch and St. Louis City Circuit Attorney Jennifer Joyce warned citizens that they would bring criminal libel prosecutions against anyone who made statements against Mr. Obama that were "false." I had been under the impression that the Alien and Sedition Acts had gone out of existence in 1801-'02. Not so, apparently, in metropolitan St. Louis. Similarly, the Obama campaign called for a criminal investigation of the American Issues Project when it ran ads highlighting Mr. Obama's ties to Mr. Ayers. These attempts to shut down political speech have become routine for liberals. Congressional Democrats sought to reimpose the "fairness doctrine" on broadcasters, which until it was repealed in the 1980s required equal time for different points of view. The motive was plain: to shut down the one conservative-leaning communications medium, talk radio. Liberal talk-show hosts have mostly failed to draw audiences, and many liberals can't abide having citizens hear contrary views. To their credit, some liberal old-timers - like House Appropriations Chairman David Obey - voted against the "fairness doctrine," in line with their longstanding support of free speech. But you can expect the "fairness doctrine" to get another vote if Barack Obama wins and Democrats increase their congressional majorities. Corporate liberals have done their share in shutting down anti-liberal speech, too. "Saturday Night Live" ran a spoof of the financial crisis that skewered Democrats like House Financial Services Chairman Barney Frank and liberal contributors Herbert and Marion Sandler, who sold toxic-waste-filled Golden West to Wachovia Bank for $24 billion. Kind of surprising, but not for long. The tape of the broadcast disappeared from NBC's Web site and was replaced with another that omitted the references to Mr. Frank and the Sandlers. Evidently NBC and its parent, General Electric, don't want people to hear speech that attacks liberals. Then there's the Democrats' "card check" legislation that would abolish secret ballot elections in determining whether employees are represented by unions. The unions' strategy is obvious: Send a few thugs over to employees' homes - we know where you live - and get them to sign cards that will trigger a union victory without giving employers a chance to be heard. Today's liberals seem to be taking their marching orders from other quarters. Specifically, from the college and university campuses where administrators, armed with speech codes, have for years been disciplining and subjecting to sensitivity training any students who dare to utter thoughts that liberals find offensive. The campuses that once prided themselves as zones of free expression are now the least free part of our society. Obama supporters who found the campuses congenial and Mr. Obama himself, who has chosen to live all his adult life in university communities, seem to find it entirely natural to suppress speech they don't like and seem utterly oblivious to claims this violates the letter and spirit of the First Amendment. In this campaign, we have seen the coming of the Obama thugocracy, suppressing free speech, and we may see its flourishing in the four or eight years ahead. BUT WHAT DO EXPECT FROM PEOPLE WHO IDOLIZE OBAMA AND CHE, THE COMMUNIST REVOLUTIONARY WHO KILLED FOR CASTRO.